South Africa joins 16 other global markets for the rollout of Heineken 0.0, an alcoholic free lager brewed with a “unique recipe for a distinct balanced taste” – and only 69 calories per 330ml bottle [with 16g carbs vs 10.5g carbs in regular Heineken and 138 calories] . Locally, an integrated launch campaign includes a TV commercial, digital, OOH and experiential activations plus on and off trade promotions. Heineken says the beer is created using only natural ingredients, resulting in a beer “brewed for beer lovers, by beer lovers”. Willem van Waesberghe, Global Craft and Brew Master at Heinken, said; “Removing alcohol from regular 5% Heineken beer would have been easy, but it wouldn’t deliver the best-tasting, non-alcoholic beer. “Heineken 0.0 opens up new occasions for beer lovers or those making healthier lifestyle choices, without having to compromise on taste. Now you can enjoy the unique and refreshing taste of Heineken 0.0 any time of the day, whether after exercise or while watching an early morning game” said Heineken SA marketing manager, Lauren Muller. 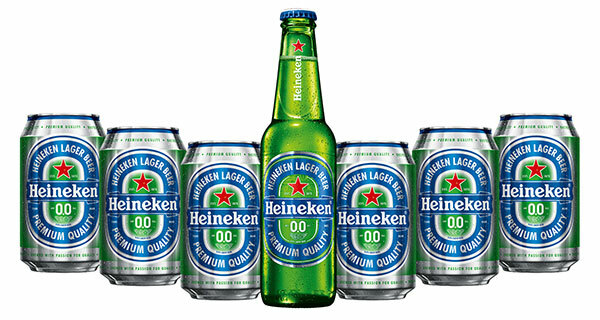 Heineken 0.0 is available for purchase in both on and off-trade in different retail channels. It is available in South Africa in a 330ml NRB bottle and a 330ml can.